Crunchy's East Lansing Music Bingo Monday! Come join us for an amazing night of music, prizes, food, and drink specials. 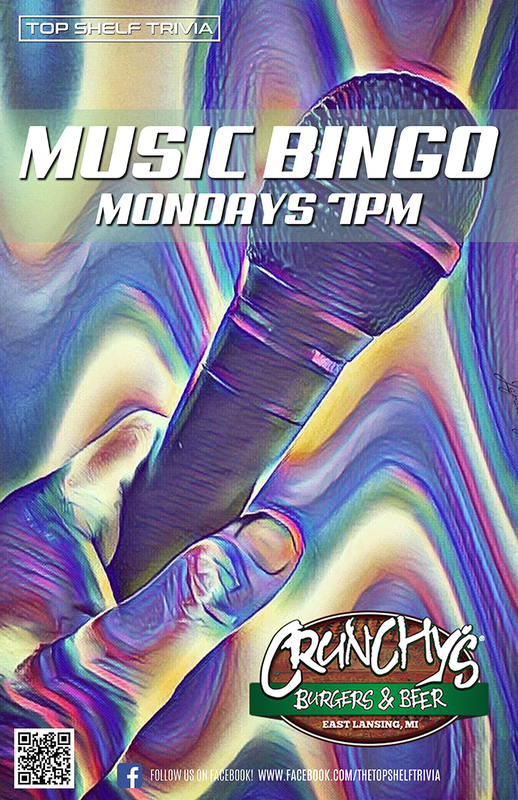 It’s Music Bingo at The Crunch! Test your music knowledge and compete against your friends and other patrons. It’s easy and FREE to play, and everyone is welcome! Games are from 7pm-9pm, and you can join any time!